MISSION, KS--(Marketwired - Dec 7, 2016) - (Family Features) With the season of giving in full swing, try turning your attention away from gift giving in the traditional sense and instead focus on a whole different kind of giving. Vivid red kettles and the tinkling of jingle bells are icons of the holiday season. 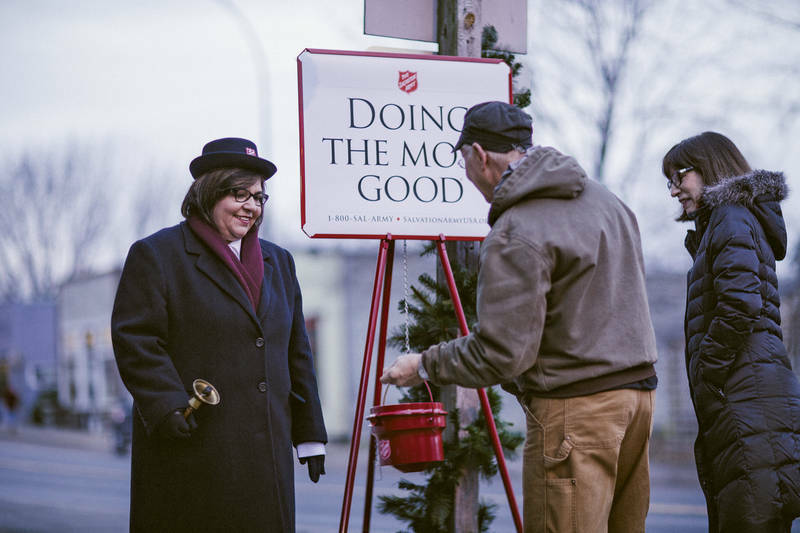 The kettles, which are found outside retail locations throughout communities nationwide and are staffed by both volunteer and paid bell ringers, are part of The Salvation Army's Red Kettle Campaign, one of the country's oldest and largest charitable campaigns. Donations to The Salvation Army stay in the local community where the donation is made, and you can feel extra good about how your money is used within the organization; 82 cents of every dollar is used to support social services that fight hunger, provide shelter and ensure Christmas assistance for families in 5,000 communities nationwide. You may not realize it, but there is actually value to the unwanted items you have laying around. Items like automobiles, furniture, household goods and clothing can be donated and converted into cash to benefit charities. Larger items can be picked up at the curb and are often sold at auction with the proceeds going back to the charitable organization. Smaller items may go directly to retail facilities, such as thrift stores, where sales also go to benefit the charity. Some organizations also allow you to provide new toys and gifts for kids in need specifically during the holidays like The Salvation Army's Angel Tree program.